The southern end of the Niagara Gorge that borders the two countries of United States of America and Canada is a huge conglomerate of three great falls known as the Niagara Falls. 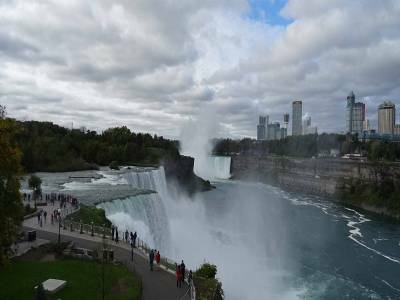 Two waterfalls on the Niagara River: the Canadian or Horseshoe Falls and the American Falls are on the mighty river of Niagara. These two great falls are dissected from the middle by a characteristic third falls called Bridal Veil Falls. Apart from being a great natural attraction and seat of tourism, Niagara Falls is well known for hydroelectric power generation at the most profitable and astonishing rate. Since the 1800s the falls has been a place of business, recreation and other activities for Canada and the rest of the world. It is a Natural Wonder of the World. The volume and speed of water drainage of this falls is off the charts and the sheer magnanimity of this natural marvel wonders the visitors. 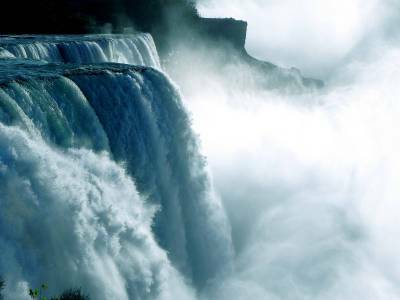 The Horseshoe Falls is the most powerful of all. Height of guest activity attains in the mid year, when Niagara Falls are both a daytime and night fascination. From the Canadian side, floodlights enlighten the two sides of the falls for hours until midnight. 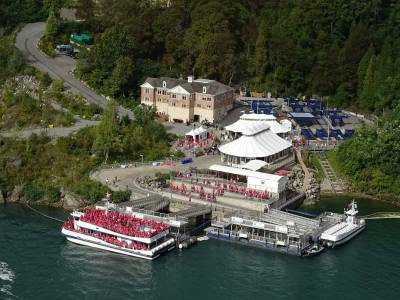 The Queen Victoria Park on the Canadian side highlights decorative gardens and stages offering glamorous view of both the Horseshoe Falls and America Falls, and a tunnel driving into viewing deck that yields the fantasy of being inside the falling waters. The Skylon Tower adjacent to the viewing deck offers the most astounding scene of the falls, and good sight of Toronto. From Fort George to Fort Erie for about 56 KM that projects the remembrance of War of 1812 is the most historical tourism destination of Niagara Falls region is the Niagara River Recreational Trail. 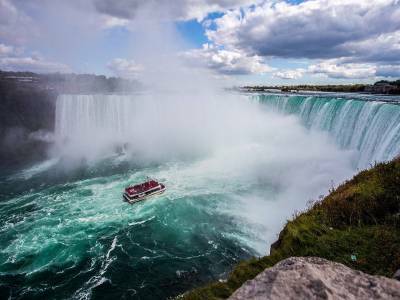 Other tourist spots are the two famous Canadian clubhouses the Casino Niagara and the Niagara falls view Casino Resort while another sightseeing attraction is the Whirlpool Aero Car cable car link that takes travellers over the Niagara Whirlpool on the Canadian side. 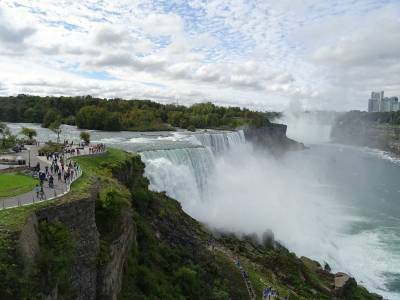 Get quick answers from travelers who visit to Niagara Falls.